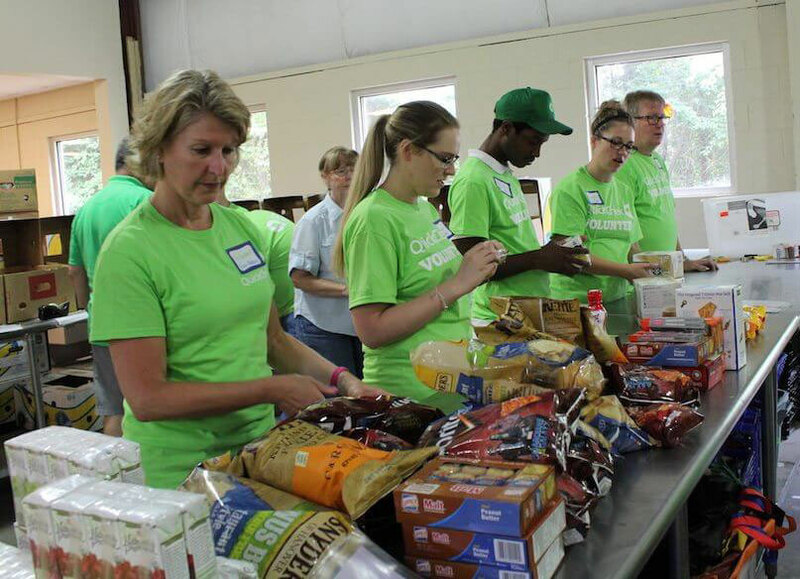 NEPTUNE, NJ — Continuing to take its ability to feed people one step further, QuickChek team members aid thousands of families in need by volunteering at local community food banks. Fourteen volunteers from the fresh convenience market chain’s headquarters in Whitehouse Station, NJ and various local stores sorted and boxed donations at Fulfill, the food bank of Monmouth and Ocean Counties, in Neptune on July 13, to help feed thousands of area families in need. Summer is a critical time for donations as many school-aged children do not have access to food programs until they return to school in September. Fulfill is the fourth area food bank that QuickChek, the 2016 National Convenience Store Chain of the Year, supports. The others are the Community Food Bank in Hillside, NJ and food banks in New York’s Hudson Valley and on Long Island. “Being in the food business, partnering with the community food banks where we have stores was a natural fit when we were looking for new ways to get further involved with our local communities,” said QuickChek CEO Dean Durling, whose family-owned company has been named one of the most generous in the state by New Jersey Monthly magazine. Volunteers donate their time and support throughout the year including summer and the important Thanksgiving and December holiday season. QuickChek is a campaign partner of Check-Out Hunger, an annual fundraiser that takes place every autumn at most major supermarkets and convenience stores throughout the metropolitan area to further support these efforts. The company raised $148,500 during the 2016 campaign and has raised $433,500 in the three years it has been a campaign partner. All of the money raised benefits those in need within the counties in which QuickChek operates its 149 store locations. Fulfill, the food bank of Monmouth and Ocean Counties, provides more than 12 million meals every year to 132,000 people and provides more than 140,000 meals to area school children in backpacks, kids’ café and summer meals programs. For additional information please visit www.quickchek.com or www.fulfillnj.org.